Jon J Muth, author of the best-selling book, THE THREE QUESTIONS, has crafted another profound and winning picture book. My Thoughts: This is not a middle-grade novel, it's technically a picturebook--but I think it is so appropriate for a middle grade audience. 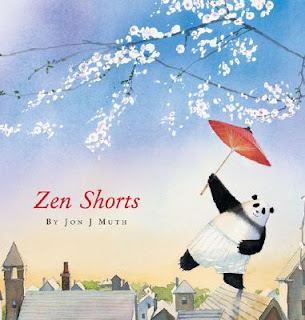 The Zen stories in this book (which also inspire my own writing) are perfect for the older child to think, ponder and discuss.